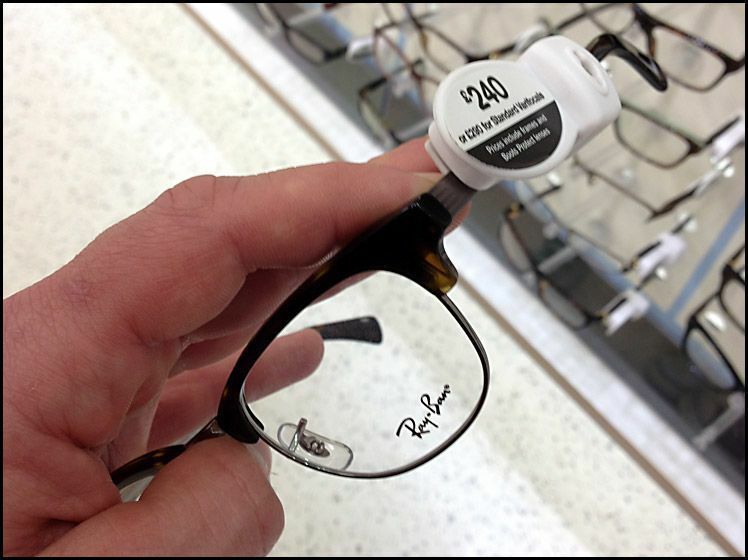 It’s a well known fact that shopping online can save you heaps of money, especially when it comes to designer eye wear! 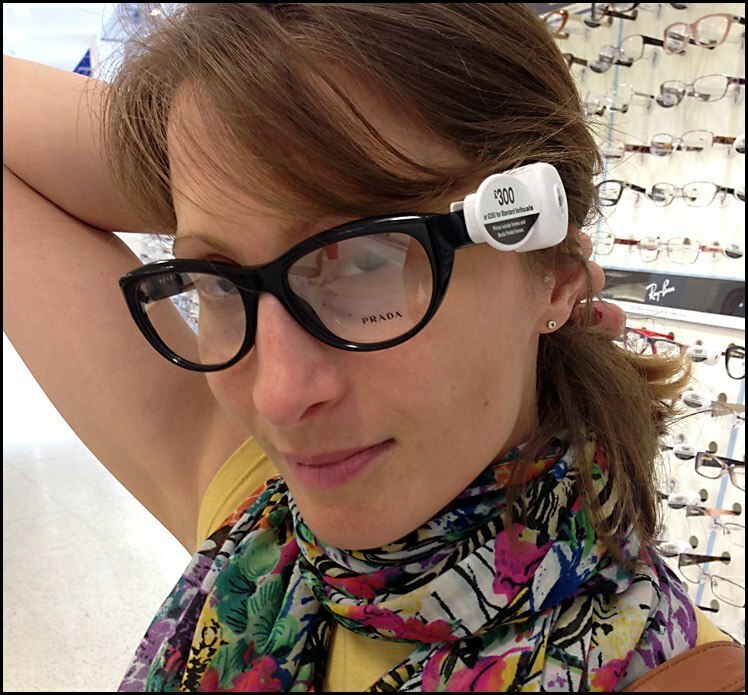 Armed with a smart phone camera, my girlfriend and I decided to do a little fact finding mission and paid a visit to a well known local high street opticians to check out their product line up and prices – Mr money saver himself, Martin Lewis, would be proud I’m sure! While the product line up and general store layout was good, and the staff attentive (as you would expect from a well known high street opticians) the prices of many of the displayed designer frames were staggeringly high. Some as much as 150% more than an equivalent product in our online and Westgate on Sea high street store! This is a thick rimmed Cat Eye styled frame from Prada, perfect for the fashion conscious woman. View more of our Cat Eye styled frames here. £300 including standard single vision lenses including coatings or £350 with thin & light lenses. We sell this frame including FREE Thin & Light lenses including coatings for £179. A saving of 49% against the high street! The Oakley Crosslink has been one of our best selling frames for the past year, it’s sporty and light, and features interchangeable arms. £240 including standard single vision lenses including coatings or £290 with thin & light lenses. 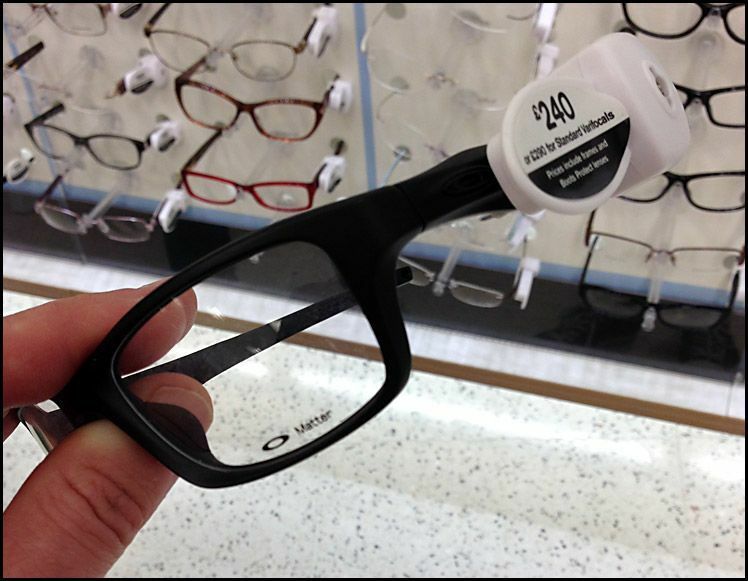 We sell this frame including Thin & Light lenses including coatings for £148. This horn rimmed style frame is a great style to own this season. Perfect for the retro style seeking gent. We sell this frame including FREE Thin & Light lenses including coatings for £116. An unbelievable saving of 60% against the high street! Our prices may leave you wondering if our designer frames are authentic, but rest assured, we can guarantee that all our designer branded frames are 100% authentic! The frames you see on our website will be identical to those displayed in your local eye wear store, the only difference is the price. You can also find our great online prices on the high street at our Westgate on Sea store – see our website for further details. Note: This research was carried out on the 13th July 2014, all prices and details were correct at the time of our visit.